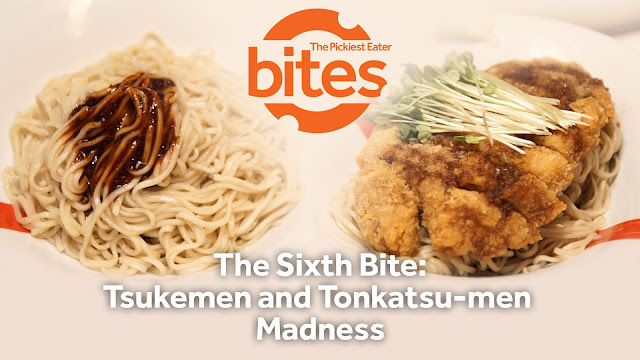 The Sixth Bite of The Pickiest Eater Bites is here.. And this time I'm featuring the two new dishes of Ramen Nagi... Their Tsukemen and Tonkatsu-Men! You can say that Tsukemen is a cousin of the traditional Ramen, with the difference being the broth is in a separate bowl in which you dip your noodles into, instead of just everything in one big bowl for you to slurp up! I normally stay away from anything spicy, so it took a lot of courage for me to try the Tsukemen (P360), which is topped with a "Nagi Fire Sauce". Mixing the noodles in the sauce, and eating it like "pancit" was delicious, but it admitedly scorched my taste buds, but eating it with the Bonito Soup with Chasu Strips (like the way Tsukemen was meant to be eaten.. Sensya na.. excited eh), offered a great balance of flavors. The beauty of this dish is in its simplicity! The Tonkatsu-Men (P470) was nothing short of fantastic. A thick cut of delicious Pork Tonkatsu rests on top of a bed of cold noodles, then you scoop both up and dip into the Tomato Tonkotsu Soup for a zest zing of spices. The Katsu may not be of Yabu level of excellence, but is also quite exceptional. A big thank you to my friend Eric, and the entire staff of Ramen Nagi Podium for taking care of us during our visit to Ramen Nagi! It was a pleasure trying out the new dishes before it was even launched! 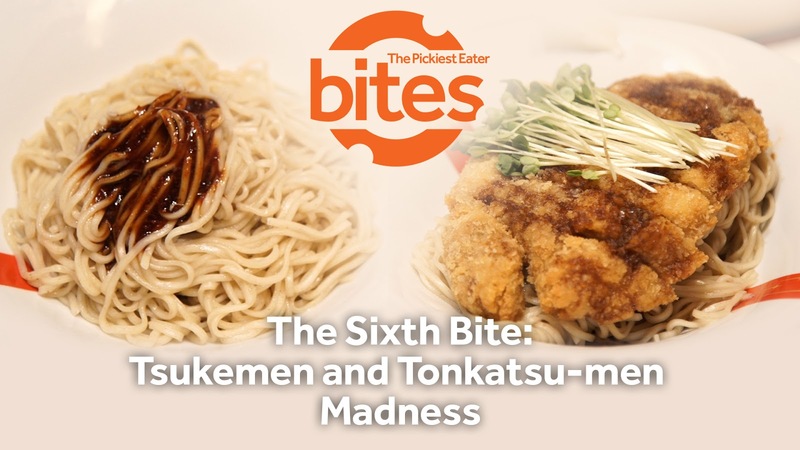 The Tsukemen and Tonkatsu-Men will be available starting May 1, in all Ramen Nagi Branches in Metro Manila! Follow Ramen Nagi Manila on Facebook! do you even pay for your own meal? all i've read here is of you eating for free. Yup! Sometimes I get invited to try a restaurant, but otherwise, I pay my own way. I love fish/seafood based dipping broth like bonito or niboshi. Sometimes they can be full on but I'd imagine the heat from the fire sauce would offset the fishyness of the broth. Would definitely try that and the tonkatsu tsukemen! when you visit the philippines, i'll take ya around to try different ramens!! Tokyo Tokyo’s Sakura Sumo Meal in Full Bloom! BEHOLD: BOHOL'S 2016 UBI FESTIVAL!